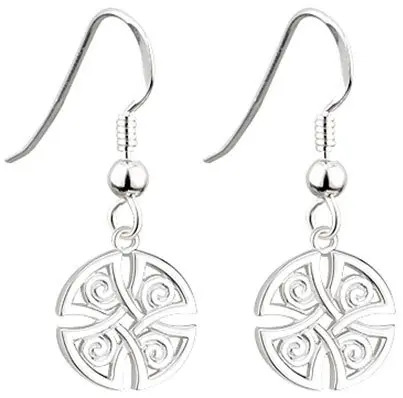 Beautiful round Celtic knot earrings in sterling silver. These stunning sterling silver round Celtic knot earrings measure 11mm wide and are hallmarked at the Irish Assay Office In Dublin Castle. Guaranteed Irish jewelry shipped for free from Dublin.